On behalf of the United Nations Capital Development Fund (UNCDF), PVI and its Tanzanian partner TBWA/KhangaRue Media designed, produced and distributed a series of videos on financial literacy in Nyarugusu refugee camp and host communities in Kigoma region. 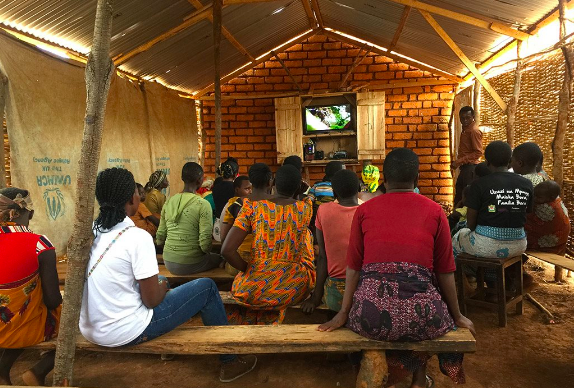 The videos on savings and savings groups, managing money, mobile money and digital solutions were distributed to public screens at video halls outside the refugee camp (organically and through special screenings, free for women), as well as directly to partner NGOs within the camp. Learn more about the “Savings is Love” pilot campaign in this UNCDF blog post.